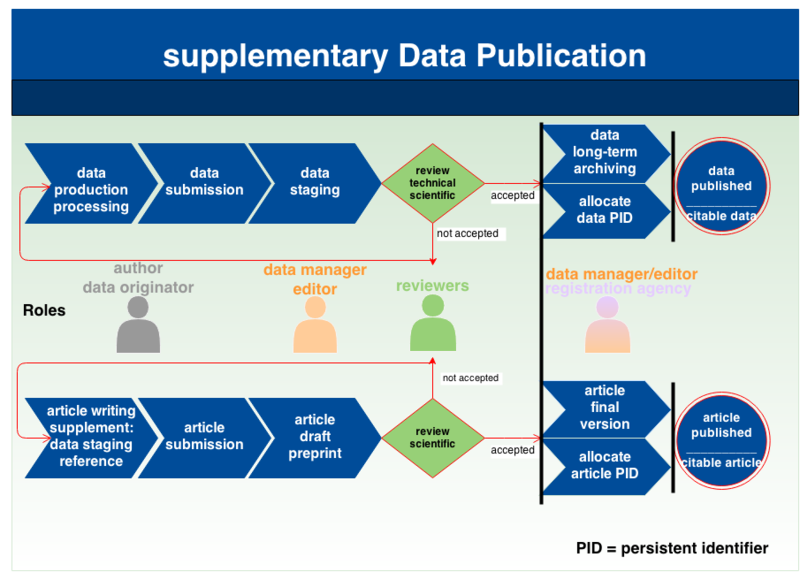 How does the data publication work? 3) Technical and scientific review: Execution and documentation of a Scientific Quality Assurance (SQA) and Technical Quality Assurance (TQA) on data and metadata. 4) Data long-term archiving: published data entities are fixed and remain unchanged. 5) Allocation of data PID: registration of the data with a PID. The PID is inserted into a PID handling system. How does the supplementary data publication work? To get answer to questions, go to FAQs page. 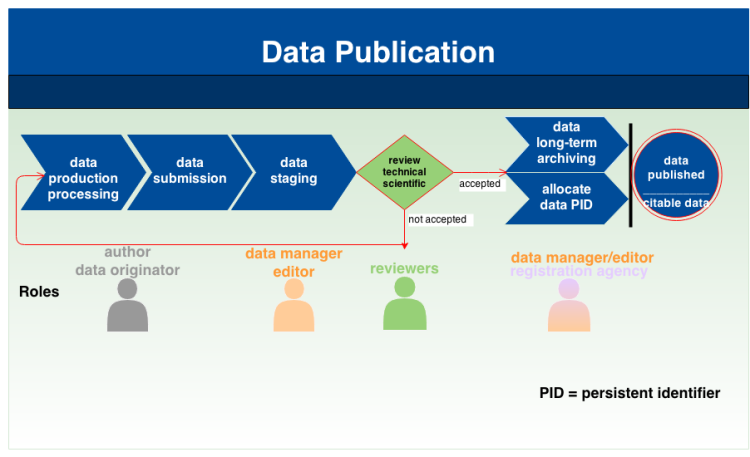 Learn more about data publication, go to Best Practices page Data Publishing.